This entry was posted in Podcast on June 7, 2016 by Chris Laxamana. Thanks! If the drawing he gave them is anything like this one, he has no business blaming anyone but himself. Very awkward to hear the staff backing him up on this… The emperor needs to take a drafting class. I’m an engineer. I work in manufacturing/machine shop. I have made hundreds of drawings on the back of an envelope (which is the same as this). Based on the drawing alone, I would have made the correct part. Add in the telephone conversations that Adam mentioned and there is no excuse for delivering an incorrect part. While the drawing is NOT to perfect scale, it is close enough to get the job done. This is VERY common practice, particularly with a prototype (one off) part. Anyone who made the part scrap that was delivered would be fired, especially after the telephone clarification. Period. LOL, this may be Adam’s first numerical mistake, ever. For years the story was Ray wanted $75/show, now it is $100. The drawing he sent them shows an angle of 52 degrees next to an angle of 104 degrees. 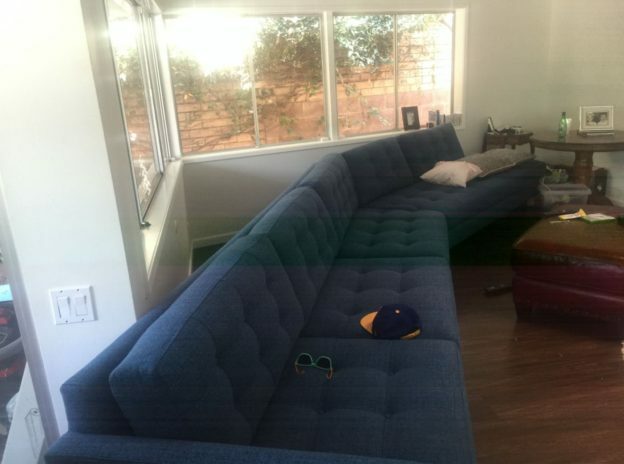 They built a couch with an overall angle of 156 degrees. Adam fucked up, and so did his crew. The couch company is correct. 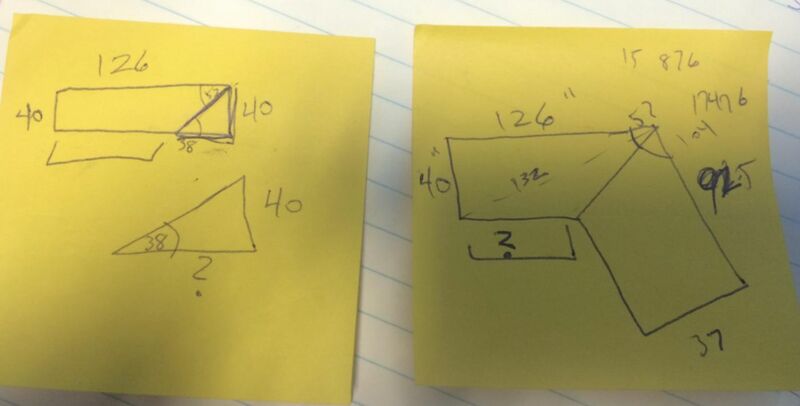 The purpose of writing down numbers is so that the drawing doesn’t have to be perfect. If he had crossed out the 52, then it would have been great. And I agree with the person who commented on Ray’s request. It used to be $75.